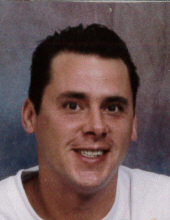 Dennis M. Padgitt, 52 passed away January 30, 2019. He was a graduate of North High School and the University of Akron. Born on October 26, 1966 to the late David Padgitt and Michaelle Rhoads he lived most of his life in Akron, Ohio but also resided for a short time in Jacksonville, Florida. He is survived by his beautiful children, Matthew, McKenzie and Mikayla Padgitt. Left to cherish his memory are his mother, Michaelle Rhoads (Danny) and sister Dana Motts (Rich) as well as many family members and friends. He worked for J & J Pest and Lawn Care. He was an excellent athlete most of his life and was involved in many different sports including baseball, basketball, softball, golf and tennis. He will be deeply missed by his family and friends. Cremation and a private memorial have taken place.